Vigil on TV: "I don't care how pretty you are. ... You should be real." Perhaps more than any other medium, television news lives and dies on personality. 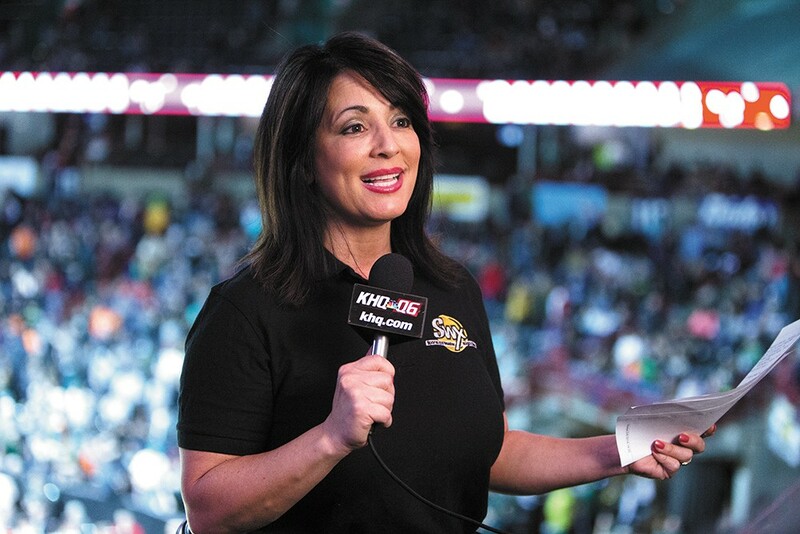 And for a decade, Inlander voters have picked Stephanie Vigil as the Best Anchorperson in the Inland Northwest. The secret, she says, is authenticity. And no, that's not something you can just fake. "I don't care how pretty you are. I don't care how smart you are. You should be real," Vigil says. "You can see through the camera, and the camera doesn't lie." For Vigil, it's not just telling people what's happening. It's telling people how they can help. TV news often focuses on destruction — fires and grisly crime — but lately, Vigil's personal enterprise series, "Keeping Vigil," has turned KHQ's cameras to more hopeful places: "It highlights the good deeds that people do for other people, to shed more light on the fact that there are a lot of people out there that are wonderful people and giving." Vigil arrived at KHQ in Spokane in 1997 as a 29-year-old. Today she's nearly 48. "I grew up. Seriously," she says. "I'm more empathetic and sympathetic. ... I can see life differently." During that time, she's seen TV news change drastically. Today's the age when news breaks in 140 characters or less, where a station's Facebook pages have become modern town squares. It's a changing world Vigil has studied. She just finished a master's thesis for Gonzaga on where television will be in the next decade. With local TV news ratings struggling nationwide, it's a crucial question. "We need the advertising dollar, and the advertising dollar now goes to Pandora, Words with Friends, Candy Crush," she says. "We may not have three stations in town. We may only have two stations in town. We may have to be creative ... about how we make money." And if Vigil leaves before that time, if she's replaced by one of those young ambitious up-and-comers she's helping to groom and train, she already has a back-up plan: Using her life of news anchor experience as a college professor. She'll be teaching courses on organizational communications and the business of media at Gonzaga this fall. "Eventually, after this, I'll have had the best career, the best ride. And I'm going to ride it as long as I can," Vigil says. "And you know what? I look into the future, and I think I'm just getting started."